Description: Red into Brown color with black streaks. 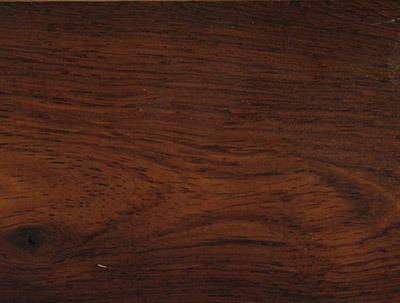 Similar to Cocobolo in irregular & interlocking grain .Tight grained and dense (59 lb./ft3). Working Properties: Moderate to severe blunting of tools, will gum up sand paper due to oiliness in wood but can be polished to a high finish.